Lyme in Illinois | What is Lyme Disease? The Lyme Support Network is a non-profit service organization dedicated to making a difference by building awareness of Lyme Disease within our community. Our primary goal is to serve as a support group for people with Lyme Disease and / or other tick-borne diseases. Our work also includes advocacy to help increase the level of knowledge and understanding of Lyme Disease among the general public and the medical community. 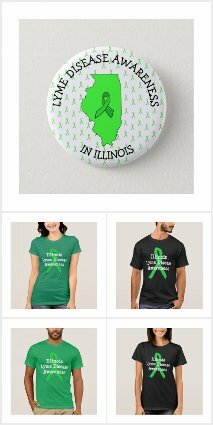 We are here for those in Illinois that think they may have Lyme Disease or in need additional support and guidance. We can help you with the information you need to get answers. We will provide assistance in helping you get a diagnosis, testing or help you find treatment through an LLMD, a Lyme Literate Medical Doctor. We can also help you locate a Naturopath in your area if you prefer a more holistic approach. A Facebook group for education and support. They also have support meetings. Visit here for confirmed cases and estimated cases of Lyme disease in Illinois.